Sloopin - A South Loop Blog: CDOT Work to Begin on May 11th to Improve South State from Roosevelt to 18th St.
CDOT Work to Begin on May 11th to Improve South State from Roosevelt to 18th St.
Get ready for some traffic! 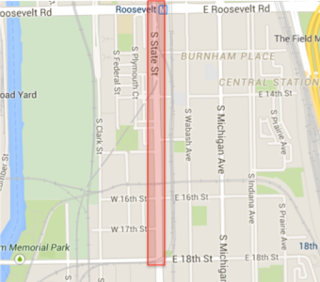 As part of the the Chicago Department of Transportation’s Arterial Street ADA Ramp Project, CDOT is tentatively scheduled to begin work on State Street from Roosevelt to 18th Street starting May 11, 2015. All work on this corridor is scheduled to be completed by June 30, 2015, weather permitting. Work will include minor sewer work, ADA sidewalk improvements, curb and gutter removal and replacement, minor milling of the existing asphalt pavement at the intersections of affected ramps, asphalt paving and striping. The sewer work will take place first following by the concrete work and milling and paving of the intersections.